Workers from Northern Water have taken apart some of the equipment at the Robert V. Trout Hydroelectric Plant at the outlet of Carter Lake as part of the organization’s annual maintenance program for the facility. On Feb. 8, members of the Northern Water board of directors were told that 2017 was a strong year for electricity production at the plant. Energy is captured from the outlet at Carter Lake as water is delivered into the St. Vrain Supply Canal. That electricity is marketed through the Poudre Valley Rural Electric Association to customers throughout the utility’s service area on the Front Range. 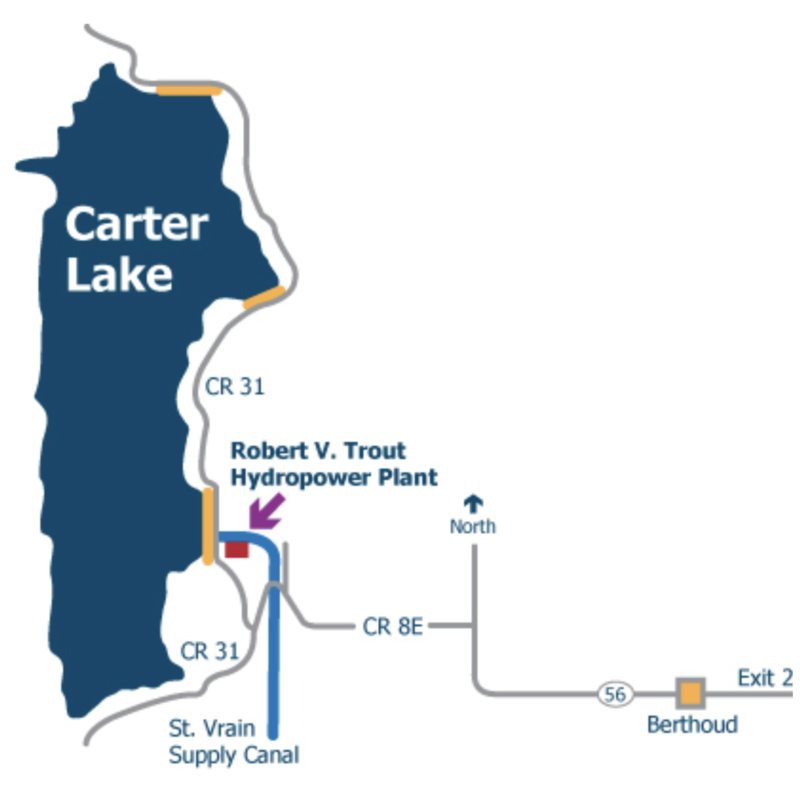 The power plant, one of two hydroelectric generation plants owned by Northern Water, has been in operation since 2012 and is authorized through a Lease of Power Privilege agreement with the U.S. Bureau of Reclamation. In addition to Northern’s two hydroelectric plants, Reclamation operates six additional Colorado-Big Thompson generation stations that supply renewable energy throughout the American West.